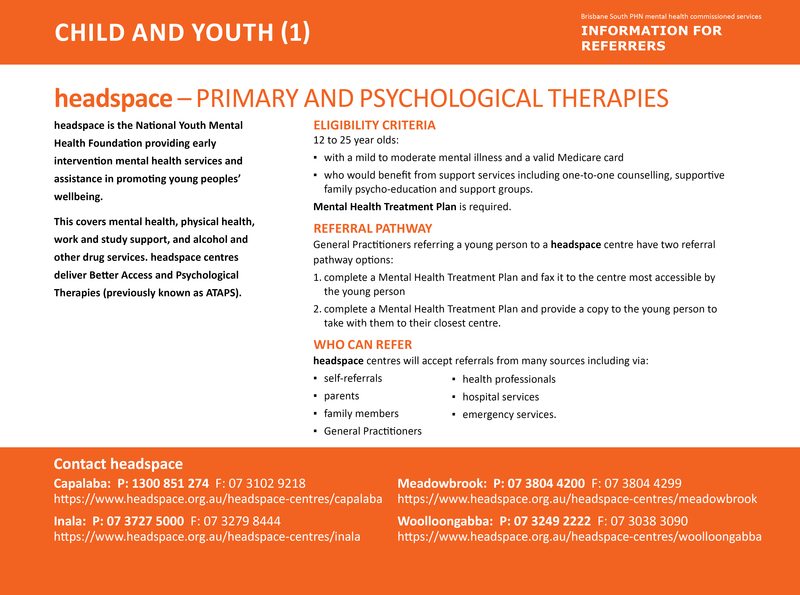 headspace is the National Youth Mental Health Foundation providing early intervention mental health services to improve mental health outcomes for young people aged 12-25 years with or at risk of mild to moderate mental illness. headspace centres aim to be highly accessible, youth friendly integrated service hubs that respond, at a minimum, to mental health, general health, alcohol and other drug and vocational concerns of young people. The services aim to improve mental health outcomes by reducing help-seeking barriers and facilitating early access to services that meet the holistic needs of young people. We work closely with headspace national office and directly fund four headspace centres in the Brisbane South region. 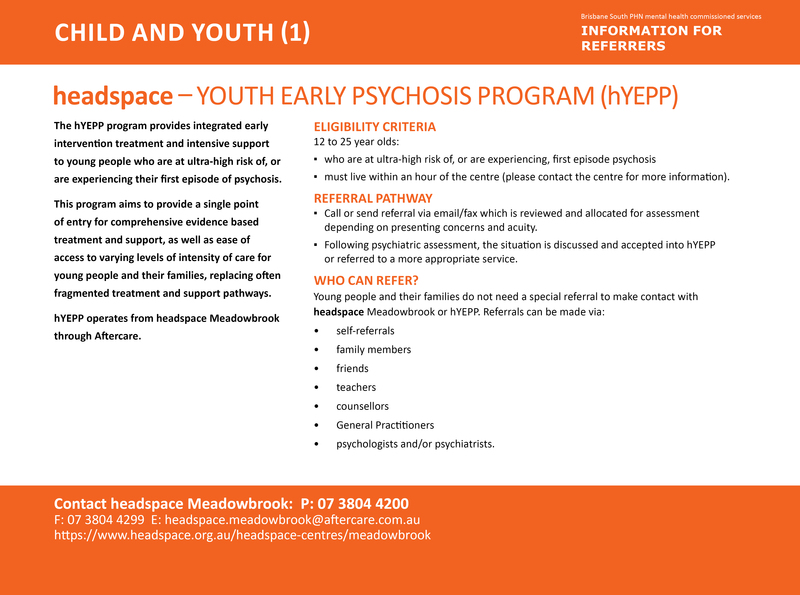 The headspace – Youth Early Psychosis Program (hYEPP) through headspace Meadowbrook provides integrated early intervention treatment and intensive support to young people aged 12 to 25 years who are at ultrahigh risk of, or are experiencing, a first episode psychosis. This program aims to provide a single point of entry for comprehensive evidence based treatment and support, as well as ease of access to varying levels of intensity of care for young people and their families, replacing often fragmented treatment and support pathways. Brisbane South PHN have committed to deliver an Aboriginal Torres Strait Islander Suicide Prevention Program, currently being delivered through headspace Meadowbrook in the form of the Impara program. The Impara program is designed to engage with Aboriginal and Torres Strait Islander young people in the Meadowbrook and Beaudesert region in a culturally appropriate way. The program has a primary focus on social and emotional wellbeing activities that is inclusive of group facilitation and/or individual support. The program is built on partnerships established with local community Elders and services. 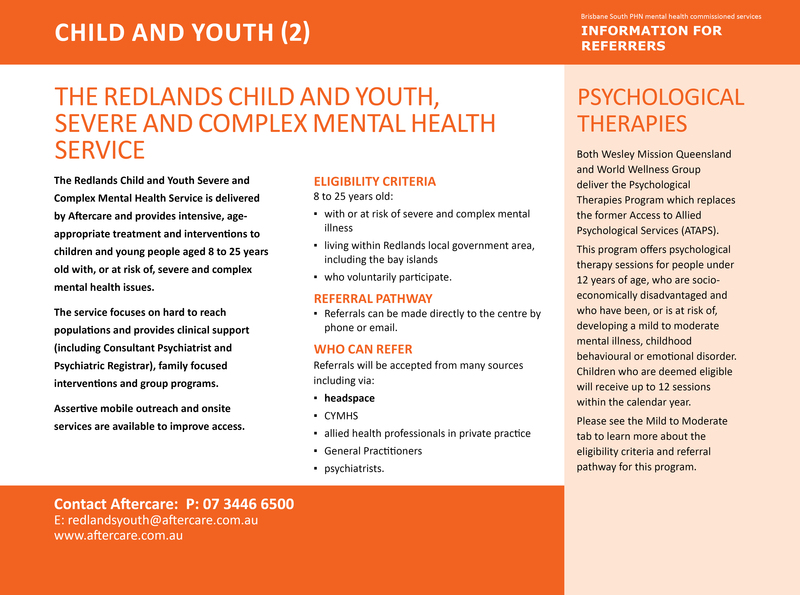 The Redlands Youth Intensive Support Program is delivered by Aftercare and provides intensive, age-appropriate treatment and interventions to children and young people aged between 8–25 years old with, or at risk of, severe and complex mental health issues. The service focuses on hard to reach populations and provides clinical support (including Consultant Psychiatrist and Psychiatric Registrar), family focused interventions, and group programs. Assertive mobile outreach and onsite services are available to improve access. 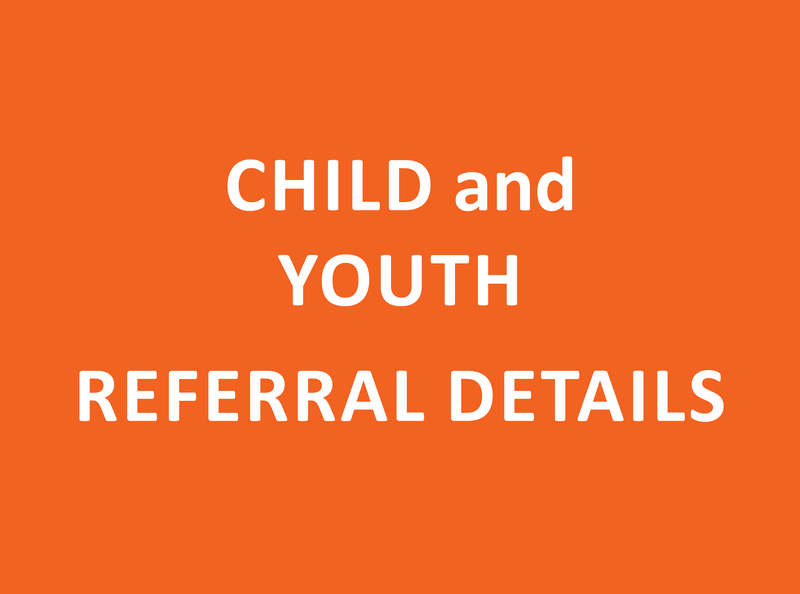 Children and young people aged 8–25 years old (inclusive). Experiencing moderate symptoms of mental health concerns or is at risk of developing a severe and complex mental illness. Young people living within Redlands local government area, including the bay islands.